August 26 marks the 95th anniversary of the passage of the 19th amendment, giving women the right to vote. After nearly a century, the image of the steadfast “suffragette” remains, but it’s only part of the picture that led to the historic amendment. The stereotypical suffragette – or those who wanted the right for women to vote – is often depicted as a passionate woman in the early 1900s, who chained herself to carriages, or was loudly hauled away by police for demanding the vote. Though there were demonstrations and arrests, the movement dates back to the early 1800s, when women pushed for laws that didn’t strip them of their property and rights in marriage. By the 1830s and ’40s, educated women with ties to the abolitionist movement led the charge for more rights, yet the battle for the vote began in earnest in the post-Civil War days. “The 1870s and 1880s is when women began to enter the political sphere,” said Ciani. When the 15th amendment passed, allowing all men to vote, “women cried foul,” she said, and the symbol of a national women’s vote crystalized. Of course, women all over the U.S. were already involved in politics by this point. Prior to the 1920s, many states already allowed women to vote, either locally or in state and national elections. Illinois signed women’s suffrage into law in 1913. “Every state had different rules, but women have been active in politics since the 1870s,” said Ciani. In fact, Bloomington was the first town in Illinois to hold an election where women could cast ballots. In April 1892, women of Bloomington legally took part in an election for school board members. 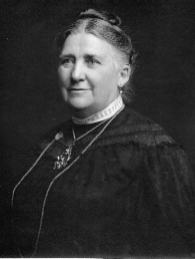 “Education was considered an extension of women’s roles as a caretaker,” said Associate Professor of History Monica Cousins Noraian, who wrote a book on Sarah Raymond-Fitzwilliam, the nation’s first female school superintendent, who served in Bloomington from 1874 to 1892. “Women in Illinois are historically leaders in social justice reform, and women having access to higher education is key in that,” said Ciani, adding that Sarah Hackett Stevenson, an ISNU graduate, was the first female physician inducted into the American Medical Association in 1876, a full 44 years before the U.S. Constitution gave women the right to vote. The lack of a constitutional vote didn’t stop women from making a run for the top office in the nation. Victoria Woodhull ran for president in 1872 under the Equal Rights Party, as did Belva Lockwood in 1884 and 1888. Laura Clay was the first to have her name added to a potential roster of candidates for a major national party, the Democrats. “Hillary Clinton was not the first,” said Ciani. 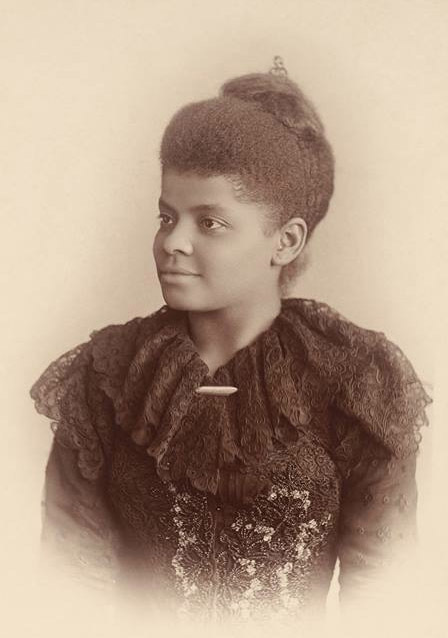 Women’s rights and anti-lynching activist Ida B. Wells. Part of Clay’s platform was actually to oppose national suffrage for women. From the South, Clay feared the passage would allow the federal government to interfere with states implementing (or refusing to implement) the 15th amendment. Ciani and Noraian can be reached via MediaRelations@IllinoisState.edu.